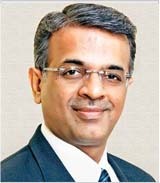 Madhavan Menon, joined Thomas Cook India in 2000 as the Executive Director responsible for the Foreign Exchange business and stepped up to the position of Managing Director in January 2006; Chairman & Managing Director in January 2016. Madhavan completed his MBA from George Washington University and undergraduate degree from American University of Beirut. Madhavan has a varied background, having commenced his career in Banking at Grindlays Bank, Citibank and Emirates Bank and in Birla Sun Life Asset Management Company. Madhavan is a Member on the Board of Thomas Cook (India) Ltd. and holds Directorships in the various subsidiaries of the company. He is also the Chairman of the Fairfax India Charitable Foundation that focusses on bringing down the cost of treating kidney related ailments in the country. During his tenure, Thomas Cook India has made several acquisitions, making it the largest travel and travel related services company in India and has expanded the global foot print of the Group to cover 21 countries across 4 continents, with operations in Australia, China, ASEAN, South Asia, Middle East, Southern Africa, Eastern Africa and North America. Mr. Mahesh Iyer A Thomas Cook veteran of 23 years, Mr. Mahesh Iyer is the Executive Director & Chief Executive Officer of Thomas Cook (India) Ltd. 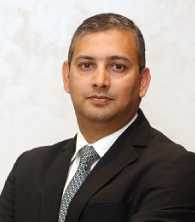 He has held multiple roles in the Company including that of Head of Foreign Exchange and Chief Operating Officer (COO) and Chief Executive Officer (CEO) prior to his appointment as Executive Director & Chief Executive Officer. Mr. Iyer has direct responsibility for the company’s P&L, day to day operations of the company, strategic planning, nurturing and building key relationships, as well as building a sustainable growth oriented organization that maximizes value for all its stakeholders. He holds a Masters degree in Marketing Management from JBIMS and has successfully completed a Business Management degree from IIM-Calcutta. 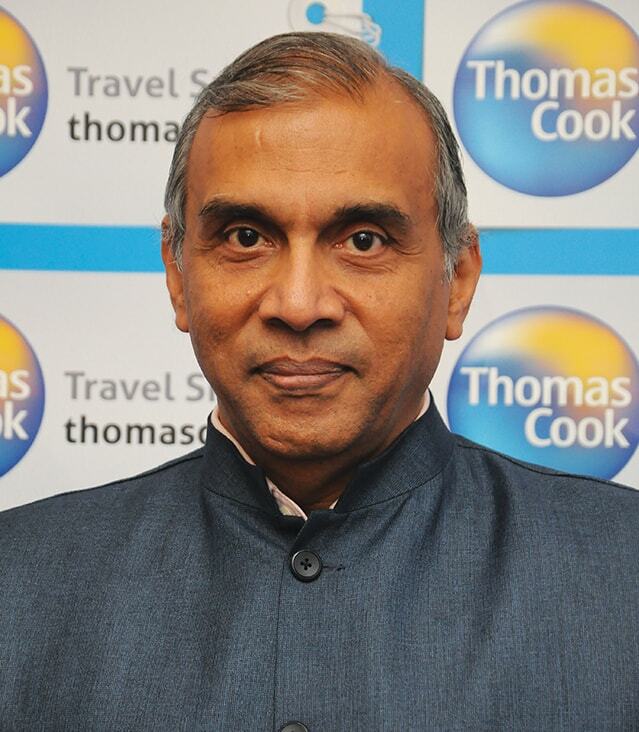 Mr. Mahesh Iyer joined the Board of Thomas Cook (India) Ltd. with effect from 29th May, 2018. Mr. Chandran Ratnaswami is a Managing Director of Hamblin Watsa Investment Counsel Limited, a wholly-owned investment management company of Fairfax Financial Holdings Limited. Hamblin Watsa provides discretionary investment management to all of the insurance and reinsurance subsidiaries of Fairfax and currently manages approximately $ 28 Billion of assets. 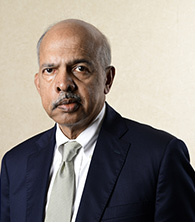 At Hamblin Watsa, he is responsible for all Fairfax and subsidiary investments in Asia. He is also the Chief Executive Officer and Director of Fairfax India Holdings Corporation, a company listed on the Toronto Stock Exchange. Mr. Ratnaswami serves on the Boards of ICICI Lombard General Insurance Company Limited, Fairbridge Capital Private Limited, and IIFL Holdings Limited (formerly India Infoline Limited), Quess Corp Limited (Formerly known as IKYA Human Capital Solutions Limited), First Capital Insurance Limited in Singapore, Thai Reinsurance Public Company Limited in Thailand, Union Assurance General Limited in Sri Lanka and Zoomer Media Limited in Canada. 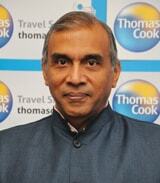 Mr. Ratnaswami joined the Board of Thomas Cook (India) Limited with effect from 22nd August, 2012. Mrs. Kishori Udeshi has an M.A. Degree in Economics from Bombay University. She moved on to a professional career in central banking and became the first woman to be appointed as Deputy Governor of the Reserve Bank of India. She was the first Executive Director of the RBI to be nominated on the Board of State Bank of India. As Deputy Governor, one of her portfolios was the regulation and supervision of the banking and non-banking sector. She represented the RBI on the Core Principles Liaison Group and the Core Principles Working Group on Capital, of the Basel Committee on Banking Supervision, set up by the Bank for International Settlements, Switzerland. As Deputy Governor she was on the Board of SEBI, NABARD, Exim Bank and was the Chairman of Bharatiya Reserve Bank Note Mudran (Pvt.) Ltd., Bangalore as also Chairman of the Deposit Insurance and Credit Guarantee Corporation. 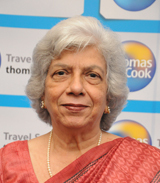 In 2006 the Reserve Bank of India appointed her as Chairman of The Banking Codes and Standards Board of India. She demitted this office in December 2011. She was a Member of the Financial Sector Legislative Reforms Commission chaired by Justice SriKrishna, set up by the Government of India. Mrs. Udeshi is currently a Director of Haldyn Glass Limited, HSBC Asset Managemnt (India) Pvt. Limited, ION Exchange (India) Limited, Shriram Transport Finance Company Limited and Elantas Beck India Limited. 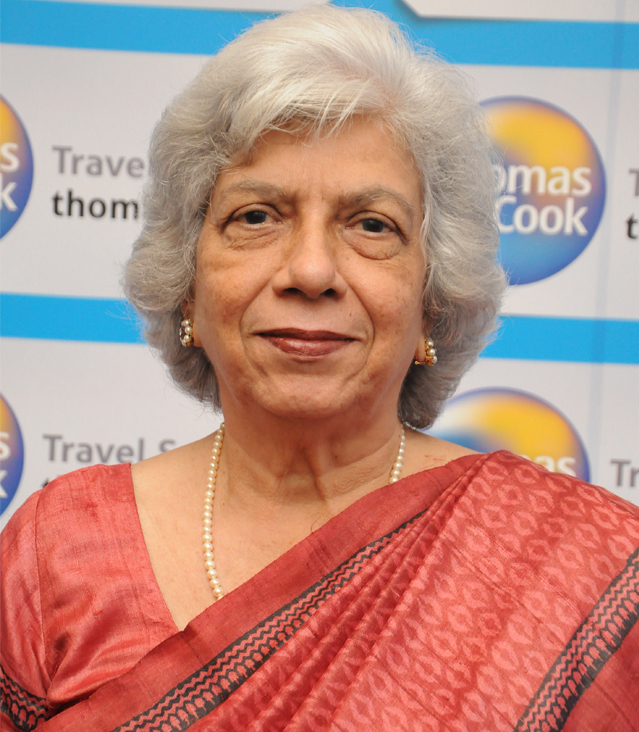 Mrs. Kishori Udeshi joined the Board of Thomas Cook (India) Limited with effect from 25th January 2013. Mr. Pravir Vohra is a postgraduate in Economics from St. Stephen's College, University of Delhi and a Certified Associate of the Indian Institute of Bankers. He has worked for over 23 years with State Bank of India at a number of senior positions both in India and abroad. His last assignment, before he took voluntary retirement, in 1999 was as head of the Bank’s Forex Division at New Delhi. He served a brief stint in the Corporate Banking group of Times Bank Ltd before moving to the ICICI Bank group where he headed the Technology function for many years. He was also additionally responsible for facilities management, infrastructure and administration including the roll out of new branches and ATMs. Mr. Vohra has served on numerous technology & functional committees set up by organizations such as the CBDT, UIDAI, IBA and the RBI. 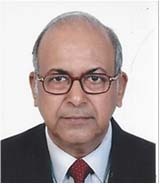 He has also served as a nominee director on the boards of Loyalty Solutions & Research Pvt Ltd, ICICI Securities Ltd, Firstsource Solutions Ltd and as an independent director on MCX India Ltd.
Post his retirement as President & Group CTO of ICICI Bank in 2012, Mr. Vohra is mentoring start-ups in the payments space and also serves on the Technology Advisory Committees of organizations like the Bombay Stock Exchange, NCDEX, NPCI & Power Exchange of India Ltd.
Mr. Vohra joined the Board of Thomas Cook (India) Ltd. with effect from 10th April, 2015. Mr. Nilesh Vikamsey is a Senior Partner at M/s Khimji Kunverji & Co., a 80 year old Chartered Accountants firm and member firm of HLB International, which is a leading network of independent professional accounting firms and business advisers with member firms well-established locally and mostly ranked among the top 12 nationally. Mr. Vikamsey is 65th President of the Institute of Chartered Accountant of India (ICAI)- the second largest professional body of Chartered Accountants in the world. Mr. Vikamsey is Chairman of Federal Bank Limited, also on the Board of a number of companies like SBI Life Insurance Company Limited, IIFL Holdings Limited, Navneet Education Limited, PNB Housing Finance Limited, IIFL Wealth Management Limited, SOTC Travel Services Private Limited, NSEIT Limited, Extensible Business Reporting Language (XBRL) India, Indian Institute of Insolvency Professionals of ICAI, ICAI Accounting Research Foundation and others. Mr. Vikamsey is Chairman of SEBI’s Qualified Audit Report Committee (QARC) & was member of SEBI’s Committee on Disclosures and Accounting Standards (SCODA), LLP Committee of Ministry of Corporate Affairs (MCA). He was Chairman of Education & CPD Committee and Committee for Improvement in Transparency, Accountability and Governance (ITAG) of South Asian Federation of Accountants (SAFA), IRDA’s Committee on Road Map for Risk Based Solvency Approach in Insurance. Mr. Vikamsey is member of Committees of Bombay Chartered Accountants’ Society (BCAS), The Chamber of Tax Consultants (CTC), Indian Merchants Chamber (IMC) and The Associated Chambers of Commerce and Industry of India (ASSOCHAM) National Council on Asset Reconstruction etc. He is Trustee in Sayagyi U Ba Khin Memorial Trust (Vipassana International Academy, Igatpuri) & few other educational trusts in Mumbai. Mr. Vikamsey is Chairman of ICAI’s standing committees like Executive Committee, Finance Committee, Examination Committee & Disciplinary Committee (u/s 21D) and non-standing committees like, International Affairs Committee, Infrastructure Development Committee, Editorial Board, Management Committee, HR Transformation Committee & Public Relations Committee as well as member of Accounting Standards Board, Committee on International Taxation, Corporate Laws and Corporate Governance Committee, Ind AS (IFRS) Implementation Committee etc. He was Chairman of ICAI’s Board of Studies, Research Committee, Financial Reporting Review Board & Expert Advisory Committee & Vice Chairman of ICAI’s Committee on Information Technology & Corporate Laws & Corporate Governance Committees. 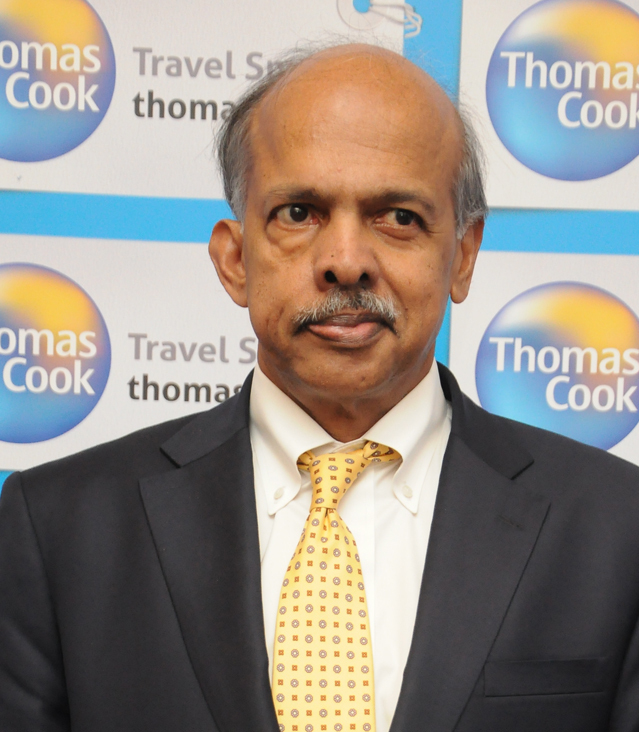 Mr. Vikamsey joined the Board of Thomas Cook (India) Ltd. with effect from 23rd December, 2015. Mr. Sunil Mathur is a qualified Chartered Accountant. He was the Chairman of Life Insurance Corporation of India (LIC) the largest life insurance company in India from August 2002 to October 2004. His tenure coincided with the opening up of the insurance sector which saw the entry of twelve companies with strong domestic brand joining up with leading international players. Despite intense competition LIC continued to be a dominant player in the market. This period was also marked by softening of the interest rates which necessitated the withdrawal of some of the popular high yield products and the introduction of new schemes. The equity portfolio was leveraged through secondary market operations and swapping of debt to book profit and give a fair return to the policyholders and also for better asset liability matching. 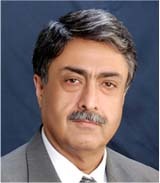 Post retirement from LIC, the Government of India appointed Mr. Mathur as administrator of the Specified Undertaking of the Unit trust of India (SUUTI) ,successor to the erstwhile Unit Trust of India, in December 2004 to manage the high return and guaranteed assured return schemes for which Government had provided financial support. Taking advantage of the bullish sentiments in the economy and the capital markets without destabilizing the markets the financials of the closed fund improved significantly through restructuring of NPA’s, sale of equity of unlisted companies and leveraging of the real estate portfolio. The Fund was managing assets of over Rs. 42,000 Crores (approximately 11 billion USD) of assets under management (having doubled in three years). Mr. Mathur relinquished charge as administrator in December 2007. Mr. Mathur’s performance both as chairman of LIC and SUUTI administrator was appreciated by experts. Corporate Dossier Economic Times ranked Mr. Mathur at No. 33 in the list of Indian CEO’s (second amongst PSU’s)and marked a record jump of 41 places by any CEO in a single year(from 74 in the year 2004 to 33 in the year 2005). Mr. Mathur has been nominated as a Part-time member of Insurance Regulatory and Development Authority and was Non Executive Chairman of the National Stock Exchange of India Limited. He is on the Board of many leading corporate like ITC Limited, Havells India Limited, Infrastructure Leasing & Finance Company Limited, HOEC Limited, UltraTech Cement Limited, Indian Mortgage Guarantee Corporation Private Limited, DCM Shriram Industries Limited. 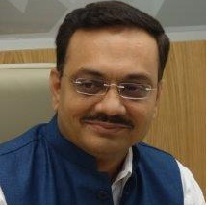 Mr. Mathur was appointed as Secretary General of Life Insurance Council on 9th May, 2012. He relinquished charge of the Life council on 31st August, 2012. He was also a member of Committee appointed by the Government to look into the issue of Misselling and Intermediary commission in the financial sector in 2014 under Chairmanship of Mr Sumit Bose. Mr. Mathur was sponsored by USAID for a programme on Housing Finance at the Wharton Business School, Philadelphia in April-May 1992. He also attended a training programmed on Globalization, technology and Management of Change conducted by IIM Bangalore in collaboration with Sloan Business School, MIT Boston in May 2007. Mr. Mathur joined the Board of Thomas Cook (India) Ltd. with effect from 23rd December, 2015. Mr. Maheshwari has been the Managing Director and Chief Executive Officer of Fairbridge since May 2018 and was appointed as a member of the Board on September 27, 2018. Previously, Mr. Maheshwari was Vice President at Fairbridge and has been working at Fairbridge since July 2011. Prior to joining Fairbridge, Mr. Maheshwari worked with KPMG in India for 5 years in their audit and accounting advisory functions. Mr. Maheshwari specializes in Indian GAAP, U.S. GAAP and IFRS accounting standards. Mr. Maheshwari serves on the board of directors of many of Fairfax Group’s portfolio companies in India. He is a qualified Chartered Accountant, has completed the Post Graduate Programme in Management from the Indian School of Business, Hyderabad, and holds a Bachelors of Commerce degree from the University of Mumbai. Mr. Maheshwari is a resident of Mumbai, Maharashtra, India.